NIŠ — Serbian Patriarch Irinej has said that there was “much more that unites us with the Roman Catholic Church,” compared to that which stands in between. “We’ve always been close and lately it is even intensified, and we want to move away those the moments that keep us apart,” the Serbian Orthodox Church head told reporters at the opening of the exhibition “Naisus – Medians”, organized by the Institute for Protection of Cultural Monuments of Niš. According to him, it is not necessary to have unity – but that a level “which befits Christians and people who read the gospel” can be reached between the two churches. “The anniversary of the Edict of Milan is an opportunity to go back to the past and to look into the contents of the edict and see how much we need it today,” said the patriarch. Hočevar said pilgrims will start visiting the Catholic church in Niš in September, where they will find traces of the Holy Cross and the relics of Holy Empress Helena. The archbishop also said that the restored Catholic church in the southern Serbian town would be consecrated on September 14. 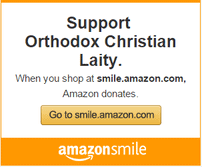 But there may be more similarities between Orthodox and Lutheran’s but this would not be a high compliment to Orthodoxy. 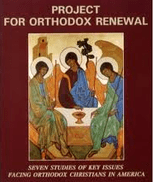 The differences between the Church of Rome and Orthodoxy is huge and expanding each year. With Gods help we will unify and that will be a witness to the whole world.We will work out the differiences with the Holy Spirits help only. I wholeheartedly agree with you. You may find it interesting that unity is already happening at the grass-roots level in our diverse parishes. With mixed marriages in American Orthodox communities, ranging from between 70-90 percent–if not higher–it’s common at inter-family events, like first communions, confirmations, christenings, weddings and funerals for Orthodox communicants to participate fully in the religious services and sacraments of other Christian traditions. While hierarchs and theologians participate in endless symposiums, debates and discussions on the theological and canonical details of unity, the present social and cultural makeup of our parishes is already making unity a reality. Renunfication will happen when the Catholic Patriarch renounces all catholic changes to doctrine and catholic “ecumenical” councils since 1054. “Let’s make a deal” – we Orthodox will give up our Old Calendar that’s based on unsound astronomy, in exchange for Rome giving up papal infallibility and the filioque. Fair trade? But the Old Calendar isn’t a problem for the Catholic Church, in fact, some Eastern Catholic Churches use the Old Calendar in some places.